Top > Study > Virtual currncy > Bitcoin and politics, economies. ■ Bitcoin and politics, economies. 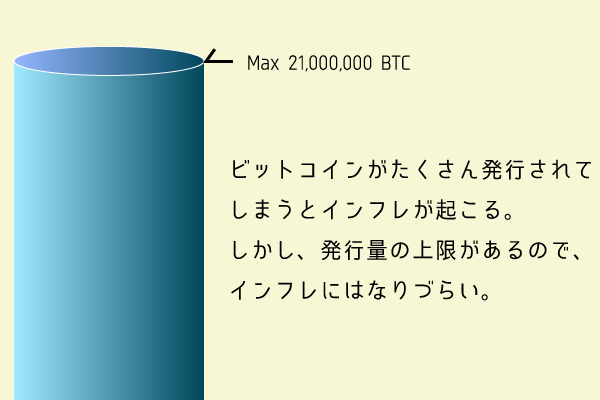 Moreover Bitcoin has the cap about amount of inscription to 21 million BTC. There for it is strong in inflation of the system, but it is pointed out a risk that become to the deflation. ▲It is a great characteristic that has the cap about amount of inscription. We can control prices if it is the currency that a country publishes by regulation a supply. However Bitcoin hasn't like that regulation, and it is said that it's system is easy to potentially happen bubble economy. Also, Bitcoin seems not good for countries. Because it is a country to publish a currency. It may replace Bitcoin by it spreading widely. The seigniorage is the right that is able to control economy of the country so it is one of the most important rights. Countries took for granted that it isn't thought good that Bitcoin may replace it. Today, Bitcoin spread steadily and spreading circulation , so more regulation is going to set about Bitcoin. In fact, reported that starting regulate about Bitcoin in New York. Chinese government is starting it too. And in Japan, there was a remark that “We make positioning of the law clear as viewpoint about protect of users and so on, and it may be necessary to examine appropriate regulation. ” to suggest regulation of Bitcoin. Banks may look on as an enemy to Bitcoin that needn't bank charge and they want to regulation it too. The phenomenon that value of the money falls, and prices rise to. When there are a lot of same things, the value of the thing falls, but the money is similar, too. The number of articles that it is the same amount of money to say that value of the money falls and can buy decreases (= prices rise) the economic burdens on nation increase. 色ormally "deflation." The phenomenon that value of the money increases, and prices fall. When "prices fall, the profit of the company decreases by just that much, and I receive it, and the salaries of the employee decrease, too. When salaries decrease, I come to cannot but refrain from expenditure, and money becomes hard to turn to the world. By the way, I call this deflationary spiral ". "Bad times" to say commonly. It is the right that can publish the currency of the country.